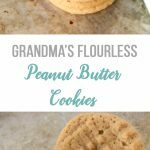 All you need are a few simple ingredients to make Grandma’s Flourless Peanut Butter Cookies! 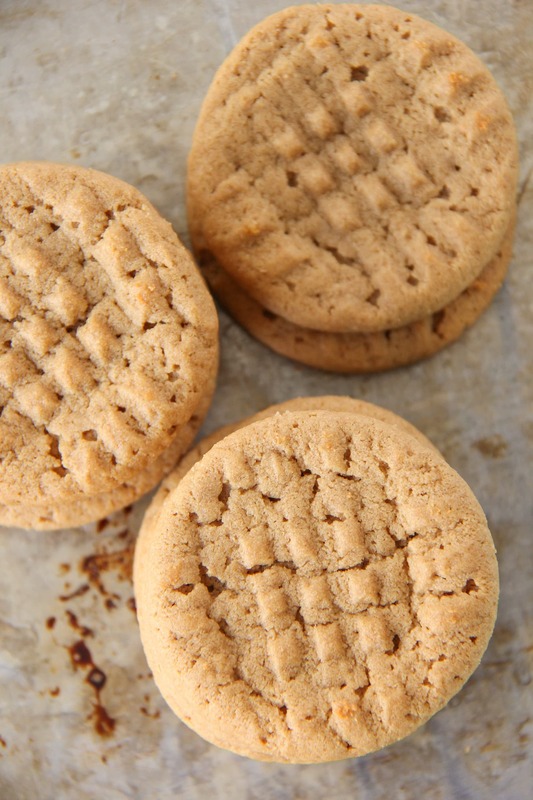 Soft, chewy and full of peanut butter flavour. 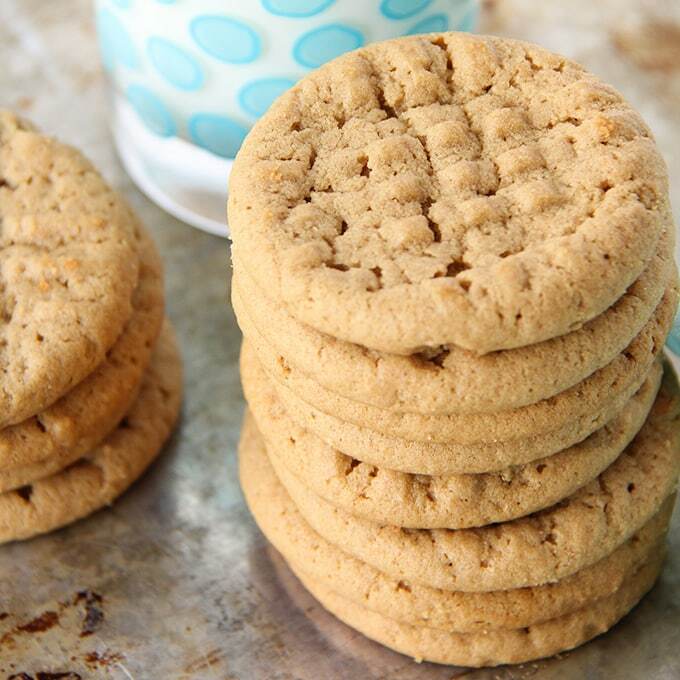 These peanut butter cookies are straight out of my childhood. They are ingrained into my memory more than any other childhood treat, except maybe for the peanut butter cornflake square my Mom used to make. 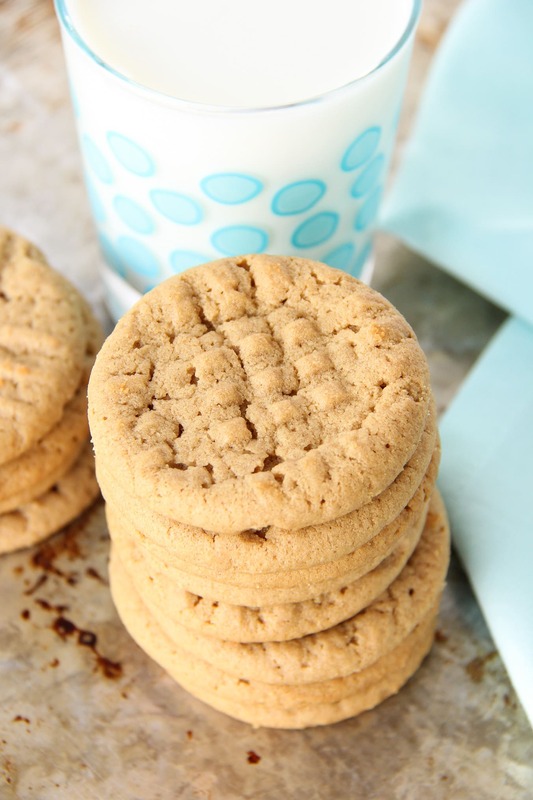 Growing up these peanut butter cookies were regularly found in our lunches…back in the days when you could actually take peanut butter to school! At the time I didn’t really appreciate how delicious they were, because they were just part of our regular lunch routine. But now as an adult, I can truly see how delicious these cookies are. 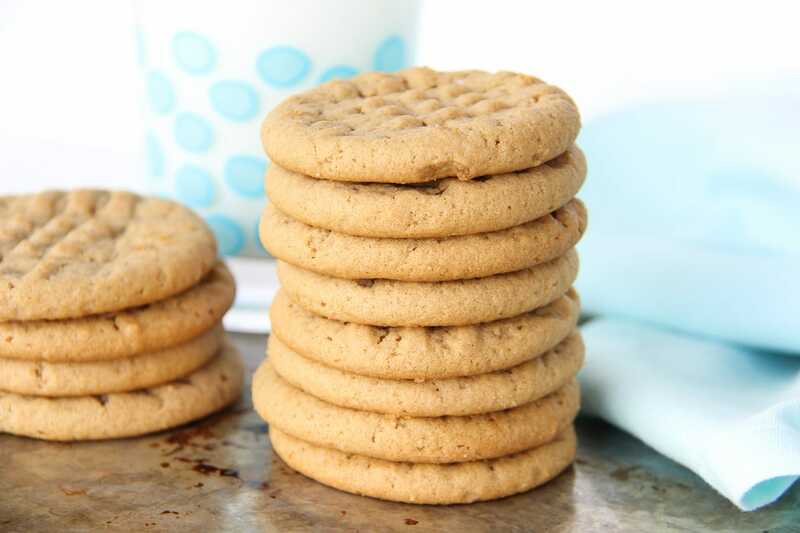 They are rich with peanut butter flavour, soft, slightly chewy and melt in your mouth. 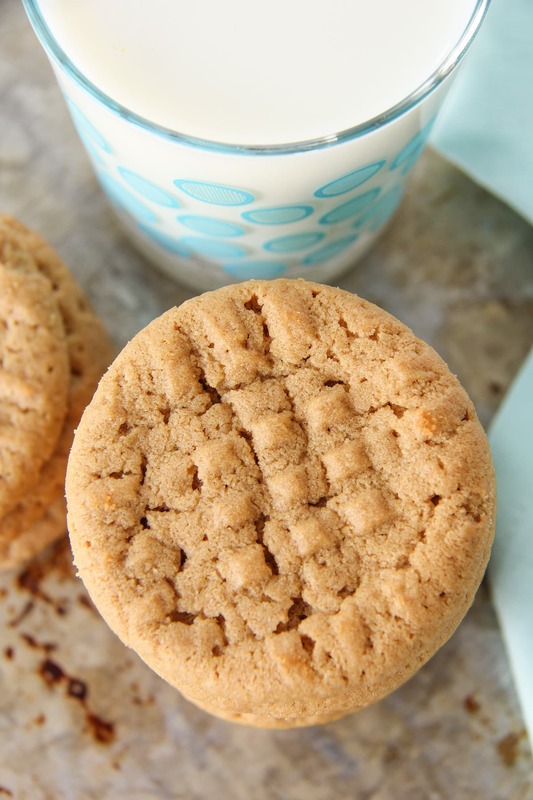 Truly a peanut butter cookie lovers dream. 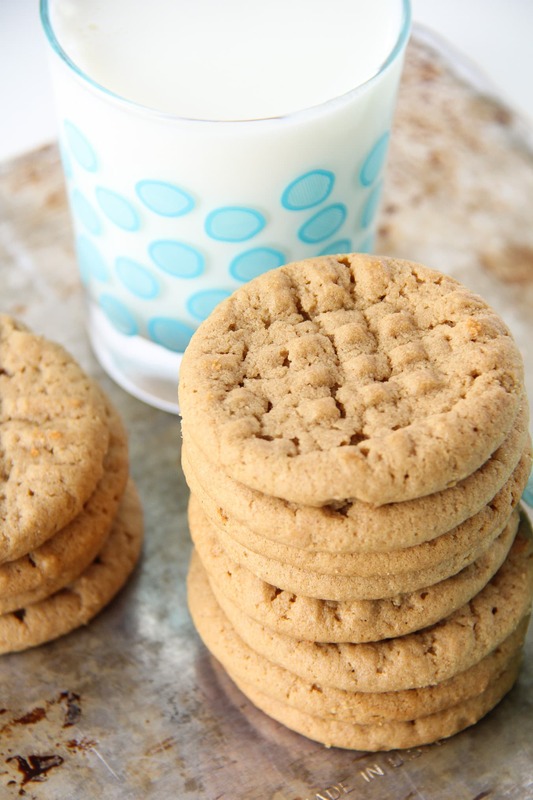 The neat thing about this peanut butter cookie is that there is no flour in the ingredients. Every time I make them, this surprises me, but they always turn out as beautifully as expected. 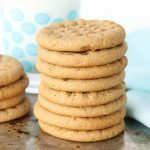 But one of the things I love most about these peanut butter cookies is that they are a recipe handed down from my Grandma. She used to make these cookies for my Mom and her siblings, then my Mom made them for my sister and I, and now my kids are enjoying them. 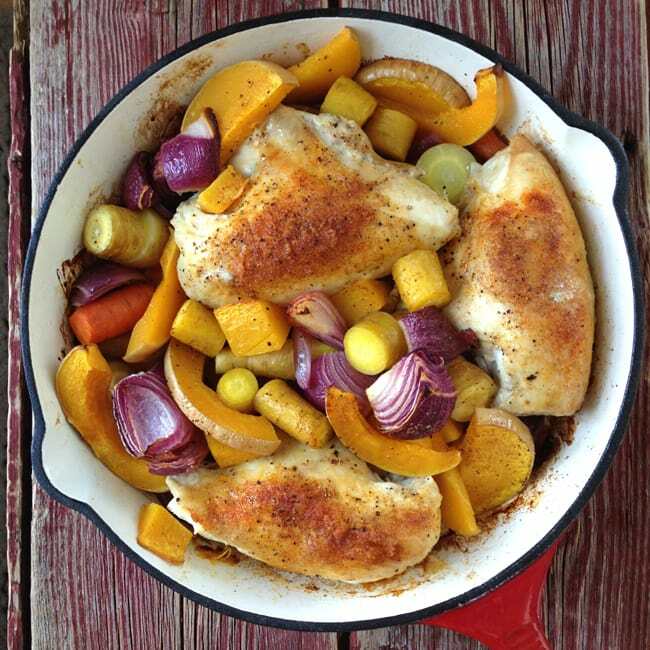 Family recipes are priceless. I truly think the best recipes are those passed down through the generations. They’re tried and true and I love that. 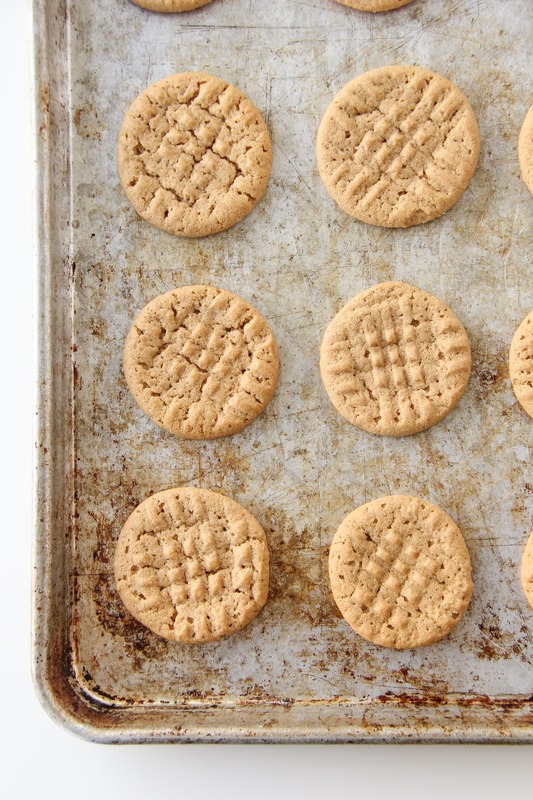 This peanut butter cookie recipe is just that kind of recipe. 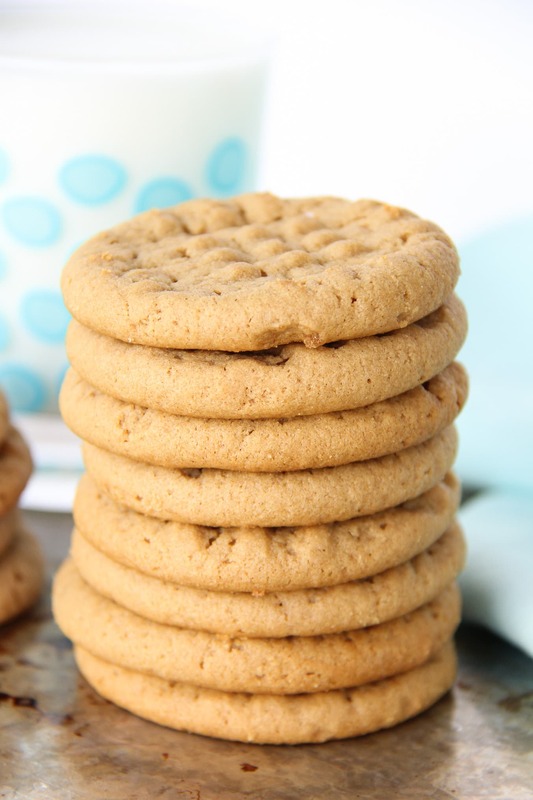 These cookies are soft, chewy and full of peanut butter flavour. 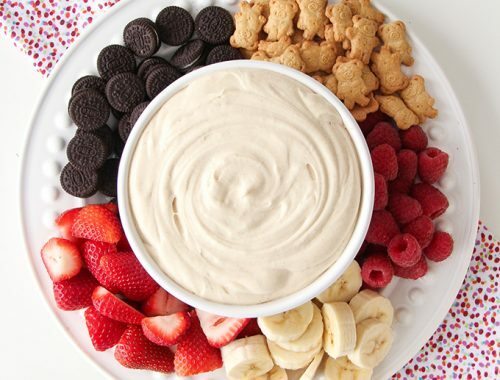 And they’re perfect for dunking in a glass of milk. Delicious. 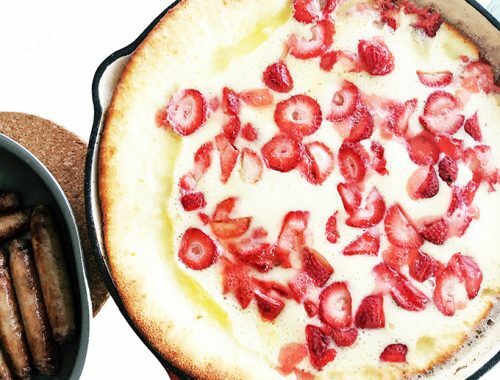 This recipe makes 24 cookies, but feel free to double the recipe! Using a mixer, cream together the peanut butter, brown sugar, egg, baking soda and vanilla until smooth. Place the balls of dough onto cookie sheet, and press down lightly with a fork. Just enough to lightly flatten them and have visible fork lines. I like to make mine with a criss cross pattern. Can you just smell them? So good. You are so welcome Brenda!